The soirée — combining a panel conversation on diversity in the workforce and a networking hour — is the perfect opportunity to mingle with talented multicultural women (and men) from various industries and countries. So bring your cards, bring a colleague, and bring a friend! 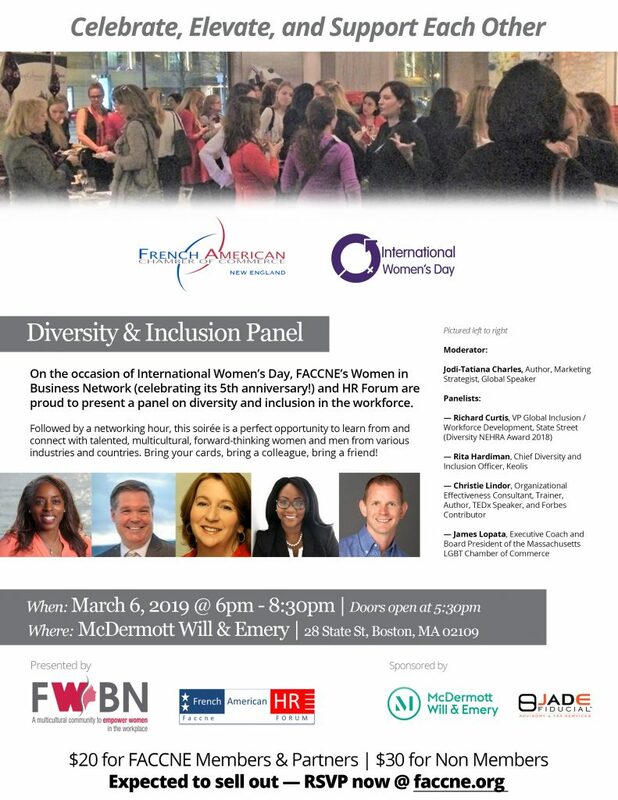 This event is presented by FACCNE’s Women in Business Forum and HR Forum. Both the workshop and the immediately-following networking evening are expected to sell out. Don’t wait to register! Ticket includes refreshments and light hors d’oeuvre.